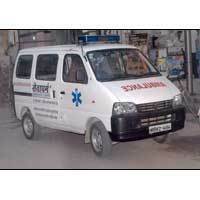 We provide Ambulance Services in Delhi/NCR for emergency medical situations. Maintaining high standards, we ensure that the Ambulance Services are provided 24x7 all throughout the day and night. We maintain a strong fleet of ambulances that can reach your door-step at a call. The ambulances are fitted with advanced facilities for keeping the patients in a stable condition till the time they reach the hospital. The ambulances are available for cardiac/pediatric care & other needs and have trained paramedical staff for the same. Understanding that time can spell a life or death situation in medical emergencies, we are always ready to provide prompt Ambulance Services for patients in the city. Sewa dharm patients care society (regd.) is a Faridabad (Haryana) based organization working in the field of Patient care. It was established in the year 2008. Mr. Awadhesh Kumar Bajpai is the CEO of the organization with 12 years of experience in the in medical service. He has been the inspiriting figure behind the selfless services render to the patients. ResourcesKeeping the critical aspect of patient care services, we have well organized resources making us a reliable destination for claiming healthcare services. We have highly advanced medical accessories and equipment in our inventory. Besides, we also have ambulances and mobile mortuary which can be availed all the time. Trained Staff We core strength lies in our well trained and qualified staff. We have the services of skilled nurses, stewards, and other medical professionals committed to serve the patients. Our medical staff is sensitive, polite and compassionate with a knack of serving humanity.